Out of the Trash and into the Class: Building a STEM Program by Re-Building Computers. Recently the Open Source Initiate, working with the Schodack Central School District in upstate New York, developed the FLOSS Desktops For Kids Incubator Project, or as it is known at Maple Hill Middle School, the Open Source Computer Club. The program compliments the Technology curriculum currently offered to sixth, seventh and eight graders, and is designed to introduce computing and engineering concepts though hands-on, project-based learning activities. Best of all, the program is run at no additional cost to the district through the use of decommissioned hardware and open source software. The program started with then Superintendent Bob Huron, who made an innovative move to engage local entrepreneurs directly in the district's academics by creating an “incubator,” offering free office, lab and manufacturing space to start-ups in exchange for time teaching students the science, engineering and technology many employed in their products and services. For example, a technology start-up focused on developing applications for wastewater treatment, that also creates energy out of wastewater, has been teaching a lab each semester on the life-cycle of micro-organisms. Initially, in order to extend the resources—and the attractiveness—of the incubator, the district hoped to provide computers to the start-ups as well, making available machines that had been decommissioned due to reaching the end of their service contracts. However, even though these machines were no longer supported by the manufacturers and were destined for the “recycle bin,” issues related to FERPA, software licensing contracts, district policy and local IT support, made sharing those—still usable—computers impossible. In addition, even if the computer hardware was be made available to local start-ups, it would not include any software procured by ,and licensed to, the district. 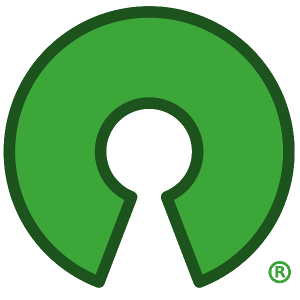 Enter open source software. Members of Schodack Open Source Computer Club engage in STEM through hands-on, project-based learning activities. Refurbished computers, once discarded, now run Linux and a variety of open source applications and, once complete, are given to students, "for keeps." Maple Hill Middle School Technology Teacher Kristopher Navratil and Principal James Derby quickly saw the educational potential of refurbishing these decommissioned computers, and offering them to not only the start-ups, but students, and even the local community as well. “The program is a wonderful opportunity for students to receive some practical experience in the world of computers. There is a difference between students knowing how to use the technology we offer them, and the students knowing how the technology works,” said Navratil. Sixth, seventh and eight graders rebuild—and in the process, learn about—hardware from discarded district computers. Students "crimp" their own Ethernet cables to build a Local Area Network (LAN) and access open source software via the Internet. The best part? Once completed, the students can take their computers home, as one student said, "for keeps." For many districts serving under-privileged students, these computers not only provide educational opportunities in STEM, but extend access to support broader educational activities: logging on to their class website to download homework, communicating with classmates on assignments, researching and writing papers—all on a computer they built, administer... understand! Maple Hill Middle School Technology teacher Kris Navratil and District IT Administrator Matt Purificato, with a lesson on networks—NIC cards, Ethernet cables, routers and switches—during a meeting of the Open Source Computer Club. A Maple Hill Middle School student diagnoses and repairs various components of a desktop computer as part of the STEM curriculum. After two years, the district and OSI are thrilled with the outcomes. Indeed administrators are dreaming up all sorts of new opportunities: a student centered help desk; a lab of rebuilt machines open to all students; contributions of refurbished machines to the community (senior centers, libraries, etc. ); donations of completed machines to other kids in the district. With such a positive response from the district, administrators and most importantly, students, the OSI and Schodack CSD are ready to expand the program to other schools and districts. A curriculum and complementary resources are under development to provide interested teachers and schools with the academic and organizational resources to implement the program: teaching and learning activities, infrastructure requirements, how to work with district administrators, etc. If you're interested in learning more about the program, or maybe you're already doing something similar, please visit the FLOSS Desktop for Kids Incubator Project at the OSI. Students present their rebuilt computers and the FLOSS Desktops for Kids project at the University at Albany's Open Source Festival. Just a few of the computers rebuilt by Schodack students. On display, machines at each stage of refurbishment.